Although I had been very interested in the Nintendo Wii since I had first heard about it, I never really planned to own one, let alone any other console game system. Well, needless to say, that changed. 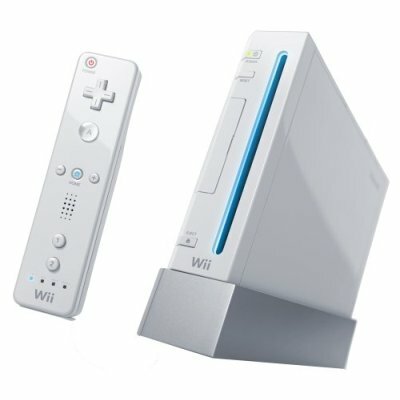 Nintendo's newest console gaming system, the Wii. Unlike the hordes of console buyers, I didn't even look around to find a Wii. Since I wasn't really interested in buying it, especially with the short supply, I hadn't really kept up with all of the supply craziness. If it hadn't been for a nice co-worker who mentioned that Toys "R" Us here in Clay, NY (near Syracuse) had them in stock, I never would have even given it a second thought. Heck, even when I went to the store looking for one I had all intentions of selling it to a friend who wanted one. Well, too bad for my friend, I'm hooked.